This has been one of the strangest summer transfer windows in history. Last year's champions Manchester City have strengthened slightly, Liverpool and Arsenal have definitely strengthened. Chelsea have had a mixed bag, they got a couple of decent midfielders, lost a very good goal keeper and spent a fortune on a relative unknown. Manchester United bought a defensive midfielder and a youngster with potential. Spurs didn't but anyone at all. However all this is history now and the real action is about to kick off. Here are our match previews for the top six in game week 1 of the 2018/19 Premier League. The stats all point to a United win. They have won their opening fixture more than any other team. Mourinho has the best opening day record of any manager and Leicester have a dire record against United. However, there is massive unrest in the red half of Manchester, both Mourinho and senior players have come out in the press and questioned the clubs transfer policy. Pre season has gone badly with key players returning late from the World Cup and two key first teamers Matic and Valencia out injured. There have also been reports that big name players Pogba and Martial want to leave. Jose has publicly lambasted Martial. In contrast Leicester seems a very happy camp. They lost Mahrez one of their star performers very early on in the summer but have bought well and have no major injury concerns. When Leicester play there are always plenty of goals and I expect this match to be no different. This match has all the makings of being a classic, crazy Premier League match, fast, furious and slightly crazy. I have a feeling that Puel will be the happier of the two managers come the final whistle. This match is the early Saturday kick-off and could cause a problem for Spurs. Newcastle have done reasonable business in the summer, although admittedly, this was mainly recementing the services of players that performed well last season. Dubravka has signed permanently and Kennedy has joined on loan again. The major worry for Spurs, apart from not signing anyone is that almost their entire team was involved in the latter stages of the World Cup. It is hard to calculate whether this will affect them now or whether those players will be running on empty later in the season. They also have the quirky fact that Harry Kane their chief source of goals for the last four years has never scored in August. In all likelihood this will be a dour match with few chances at either end. Both teams set up well and the evergreen, over achieving Benitez will make sure his Newcastle side are solid, first and foremost. I think that Spurs's greater quality will sneak them through. Last season Chelsea struggled to score goals, and they have done little to address this problem over the summer. They have added two very good defensive minded midfielders, note the word defensive. However they have changed managers from the ultra cautious, defensive Conte to the abrasive but highly entertaining Sarri. If Sarri gets Chelsea playing like his old Napoli team then Chelsea fans are in for a treat. Last season Huddersfield played to their strengths, they were well organised, hard working and disciplined, expect more of the same this season. They have added a little pace and goal threat but essentially they will be the same, hard to break down team we watched last season. Sarri will still be trying to drill his team to play how he would like and he may be in for a surprise when he finds out how competitive the Premier League is. I think Chelsea's lack of cutting edge will cost them dearly in a match they will dominate. This is an opening day fixture between two teams whose fans will be heading into the new season with plenty of optimism. Both teams have world class managers and both teams have invested wisely and well. This is a tough match, too early in the season for West Ham, they were poor last season and needed a huge overhaul of playing staff. They have done this but it will be hard to bed them in together this early in the season. They do finally have a team capable of winning at Anfield but I think this weekend will be a harsh reality check. I think it will be a convincing Liverpool win which in turn will raise the pressure and expectation on them. Unai Emery must have shuddered when he saw Arsenal's opening two fixtures. 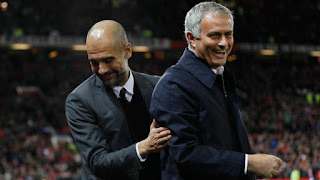 He is replacing a legend and although he has done well addressing the teams weaknesses, Arsenal are still a long way off last season's runaway champions Manchester City. Everything about the team, the manager and the club set up oozes class. They were untouchable last season and will be the team to catch again this year. They have added one quality player over the summer but more importantly expect three young players Sane, Bernard Silva and Laporte to significantly push on this year. I think Arsenal fans will be depressed to find out they haven't done nearly enough in the transfer market and still aren't competitive at the top level.